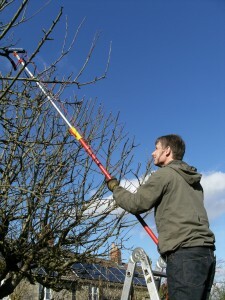 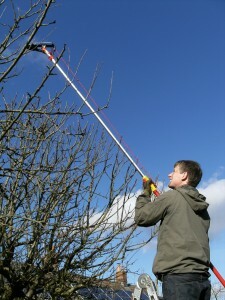 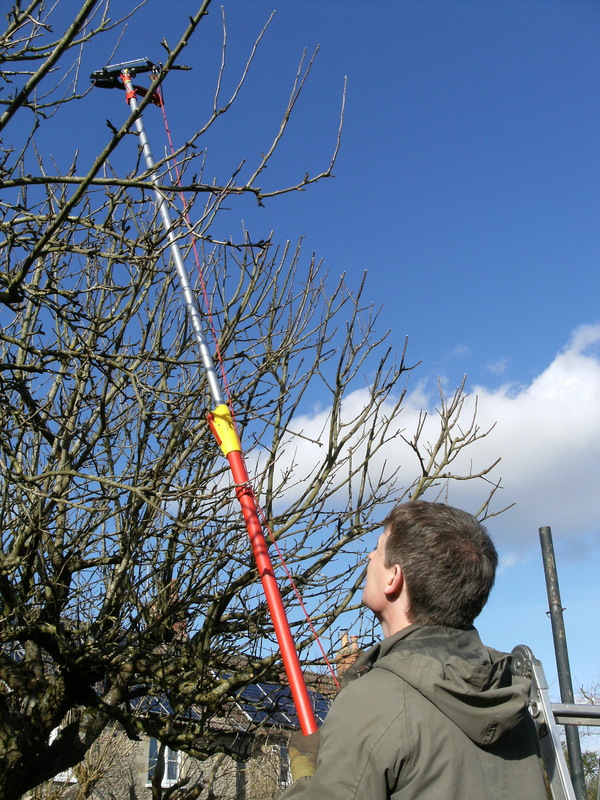 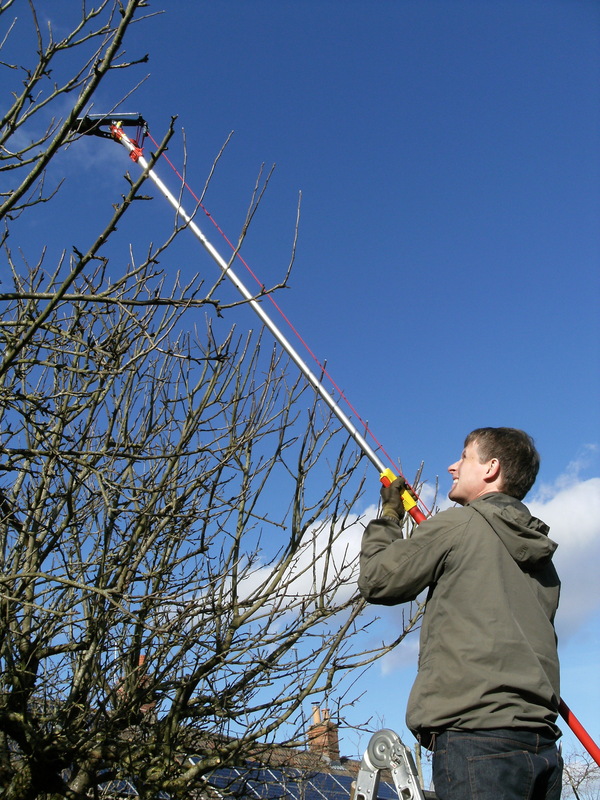 Testing out our new telescopic tree pruner! 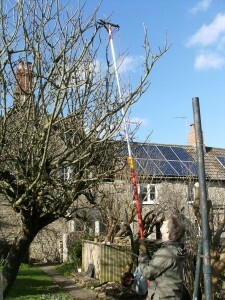 I managed to prune this tree entirely from the ground or just half way up a standard pair of steps. 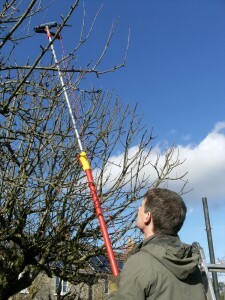 Much safer than climbing trees but maybe not as fun!